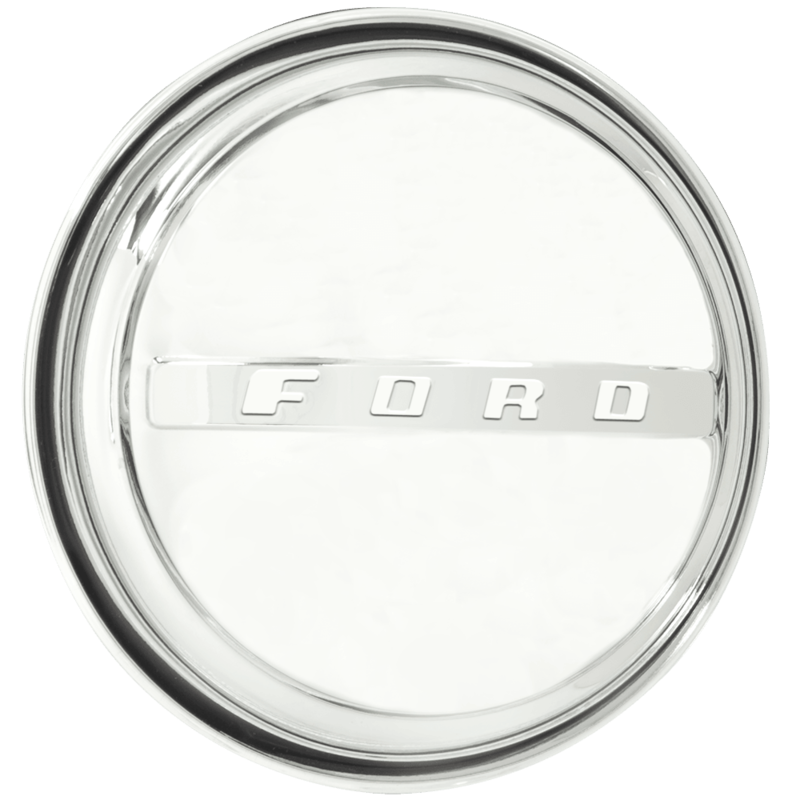 This is a 1947-48 Ford hubcap with 8 1/4 inch back inside diameter. 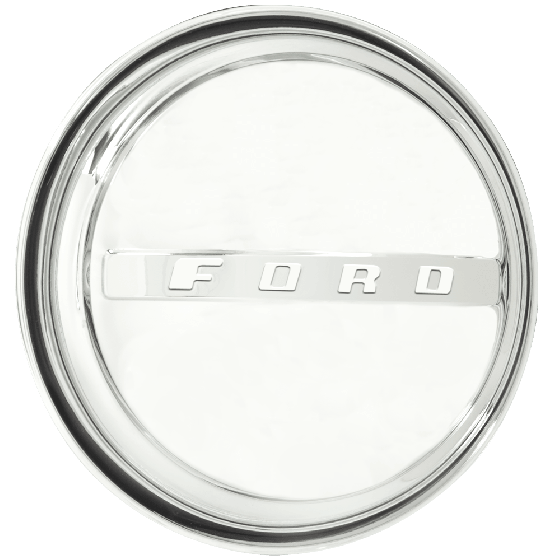 These 1947 to 1948 Ford hubcaps feature FORD in all capital letters embossed across the center of the cap and have an 8 1/4 inch back inside diameter. These vintage hubcaps fit our Solid wheels, all sizes. Please check your actual wheels required cap fitment size. Yes, the Solid wheel is compatible with all 8 1/4" back diameter caps.